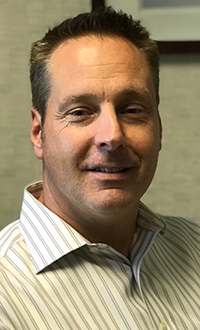 Joseph McQuesten has been named senior vice president of center store and fresh merchandising at SpartanNash Co. The Grand Rapids, Mich.-based food distributor said Monday that, in the new role, McQuesten will lead the company’s merchandising center of excellence for both center store and fresh, developing innovative retail programs for independent grocers, national accounts and 139 corporate retail stores. McQuesten (left), who previously served as vice president of center store merchandising, has more than 30 years of center store and merchandising experience. The promotion is effective immediately. McQuesten joined SpartanNash in 2011 as director of grocery, dairy and frozen merchandising. He was promoted to vice president of center store merchandising in August 2014. In that post, he oversaw category management, pharmacy merchandising, promotional programs, retail pricing and shelf implementation for the company’s corporate retail stores and wholesale independent customers. Before coming to SpartanNash, McQuesten served as a division vice president at Kmart, where he managed center store, fresh, marketing and operations for the Super K supercenter division, part of Sears Holdings Corp. Prior to that, he held a range of category management roles and other positions in over 19 years at Albertsons. In its retail business, SpartanNash operates stores primarily under the banners Family Fare Supermarkets, D&W Fresh Market, VG’s Grocery, Dan’s Supermarket and Family Fresh Market.